Why has AI become one of the most popular topics among marketers? Because it makes our lives easier. And then there’s the next question: How can it help? We’re facing an invasive amount of information, and we need to be able to process the huge chunks of data now available to us and make the best use of them. Yet, in most cases, we are at a loss, and the only easy way is to go by intuition alone. Does it work? Once in a thousand years, sure. Or perhaps it does, but the results are far from where you had aimed. That’s where AI comes into play. Several years ago, when I heard or saw the phrase “artificial intelligence,” I thought it was crazy how many people believed in that nonsense. I never expected I’d be so wrong. Consider IBM, Google, Facebook, Tesla, Lenovo, Coca Cola, Adidas, Starbucks, Amazon, Microsoft, and Uber. What do they have in common? It’s simple: All of them have started using AI in their marketing strategy. 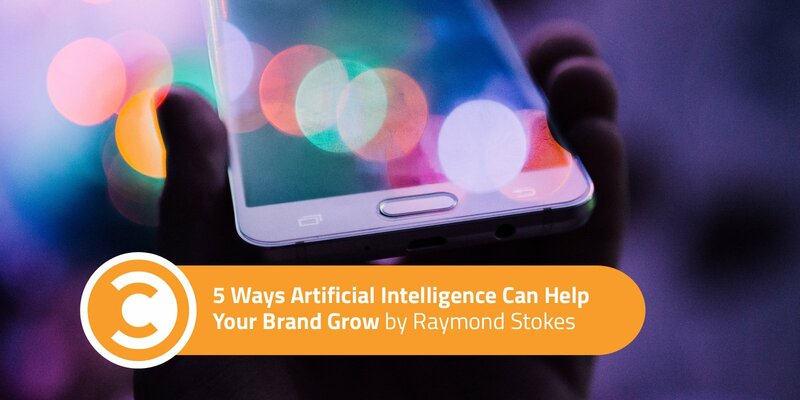 Here are a few of the most vivid examples of how AI is helping brands grow. We’ve all heard a lot about programmatic advertising, as well as about cognitive advertising based on advanced algorithms helping with demand and supply optimization. Prepare to start hearing more about AI advertising, as well. We used to make ads ourselves, and many of us still do, but now, why bother? Let AI make ads for you. That’s exactly what Coca Cola and Quartz, partnered with DigitasLBi Hewlett Packard Enterprise, decided to do. They’re poised to win the market over with this win-win. IBM Watson has become the most empowering tool for any business, and still more companies are using AI to boost sales. Look at Albert, Harley-Davidson’s AI-driven platform for marketing. 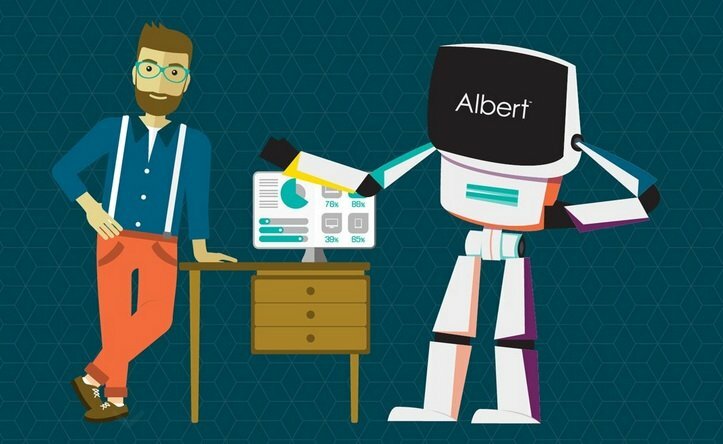 Albert helped increase sales leads by 2,930 percent and saved time and effort for Harley-Davidson’s marketers. Besides the numerous outstanding features Albert has to offer, it’s making ads really outstanding and influential. Albert improved ad wording when it discovered calls to action with the word “call” performed almost 450 percent better than those with the word “buy.” The improvement was obvious. After “advertising,” “personalization” is the first word we hear when talking about AI in marketing. Brands are clamoring to make personalized experiences a standard of their marketing plans. However, you’ll never achieve utopian personalized customer service without AI. Personalization presupposes strong communication. No brand can dedicate a personal human assistant to each customer when it comes to purchase assistance. Here come AI personal shop assistants and chatbots that replace human beings in the communication chain. Brands are already making the shopping experience more interactive with AI. It can not only give product recommendations, but also analyze what your customers will like more and, faster than any human, and create an engaging and entertaining contact. Take Starbucks and its virtual barista that allows customers to place orders by tapping a button and communicating with the personal assistant. 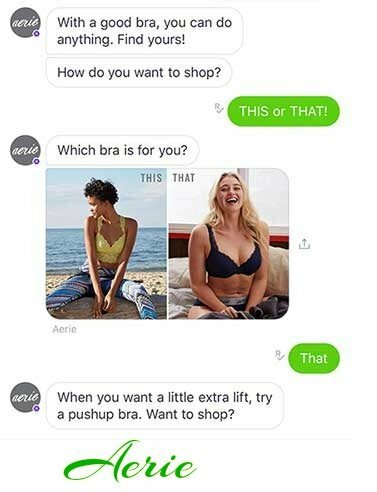 Or look at American Eagle’s Aerie chatbot. The brand attracted more users with Aerie than with all their other social media channels combined. The fun, quiz-like interaction helped the brand win audiences over. The most important thing to remember about AI in SEO is the power of voice search. Voice search technologies like Siri, Cortana, and Alexa have forever changed search queries. Now, question words like “how,” “where,” “what,” “who,” “when,” “why,” “close,” and “nearby” have all become query triggers. It’s why we’re now facing the need to change our keyword planning strategy as well. You can also take advantage of AI in your content marketing, where AI is almost obligatory for saving precious time. That doesn’t mean content spinning or paraphrasing tools for spammers—it’s something more sophisticated. We’re talking automatically generated content, customized news feeds, and predictive intelligence. I began using Office 365’s AI-based Editor to get the most out of my freelance writers at Essay Dune. This AI product is vital for me and a must for my colleagues. I analyzed 60 articles scheduled for my blog, 30 of which were written by the same freelancers without the Editor. The other half were written with the Editor. 37 percent of the first half contained minor mistakes, but only nine percent of the articles that used the Editor had mistakes. The Pokémon Go obsession showed that augmented reality (AR) rules the mainstream. AR has already become an inherent part of our lives, and virtual reality (VR) glasses, virtual desktops, Google’s Tilt brush, and many more tools and toys are selling themselves on the net. Lenovo’s New Glass C200 combined AI and AR in a very smart way. In the near future, we’ll have a chance to make purchases in VR environments as well. If you’re a designer, you already know about AI website design and how the Grid works. The Grid is called the website of the future, and perhaps it is—the website that designs itself without any human help deserves respect. Likewise, AI technology in website design has boosted Cosabella’s sales by 35.6 percent. And that’s only the beginning—we’re only at the starting line of a tremendously promising adventure in marketing and design. And nobody wants to be left behind. That’s a clear-cut rule of our brains. Do you believe AI can become a must in the digital world? Have you tried to use AI in your marketing strategy? Let us know in the comments. Raymond Stokes is a social media strategist and digital marketing specialist. Besides hiking, volunteering, and Mars mission, he's obsessed with technology and startups.